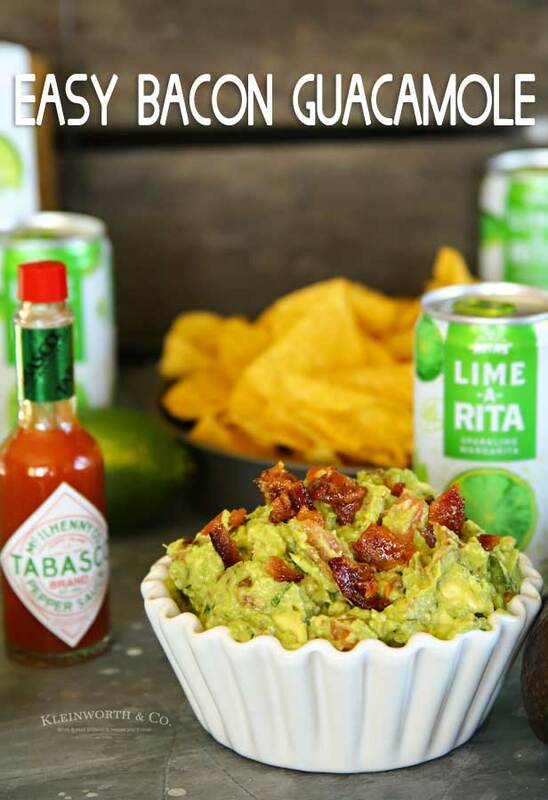 Easy Bacon Guacamole is the perfect snack to serve at all your Big Game day events. 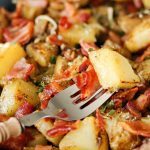 It’s loaded with crispy, salty bacon & takes a few minutes to make. Who loves guacamole? It is a favorite in our house and the “go-to” appetizer when it comes to game day. But this isn’t just any guacamole. This one brings in the awesome flavor of bacon that sends this snack over the top. When making this guacamole, you absolutely must start out with Avocados from Mexico. 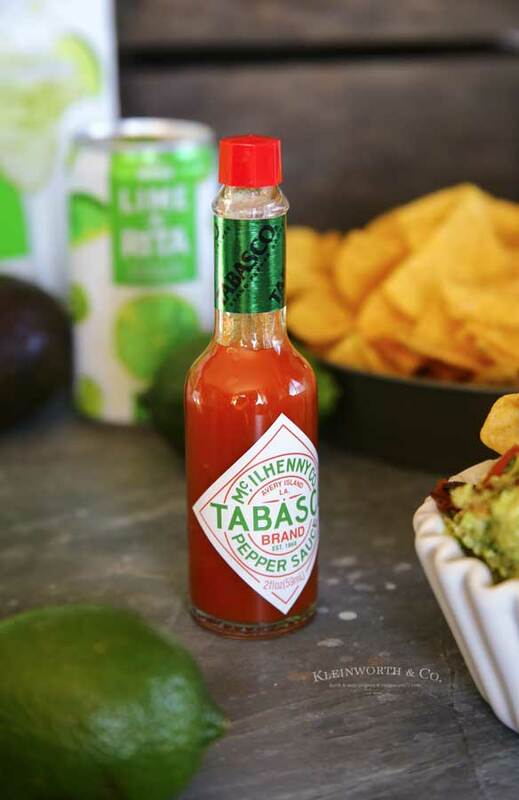 But, because we like a little kick to our snacks, we add some TABASCO® Sauce, which really enhances the other flavors in the guacamole. When it comes to game day we always like to put out a big spread for friends and family to enjoy. But the one thing that always runs out first is this bacon guacamole. 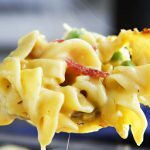 It is definitely the favorite at all of our parties because it is so versatile and absolutely delicious. We always choose TABASCO® Sauce because it is made with ONLY 3 simple ingredients: red peppers, a little bit of salt & of course, vinegar. Did you know that every bottle of TABASCO® Sauce is made from hand-picked, ripened red peppers? When it comes to flavor, it can’t be beaten. We keep it on hand at all times because it can not only be used as a condiment but also as an ingredient like we used it here! 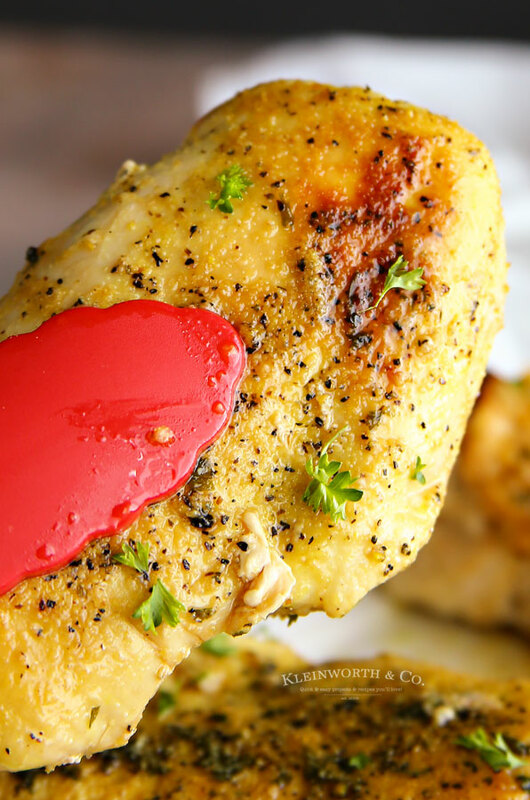 TABASCO® Sauce adds a kick of flavor to all your favorite meals with its simple ingredients. 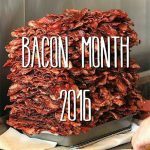 What can I pair with this Bacon Guacamole? Lime-A-Rita of course! 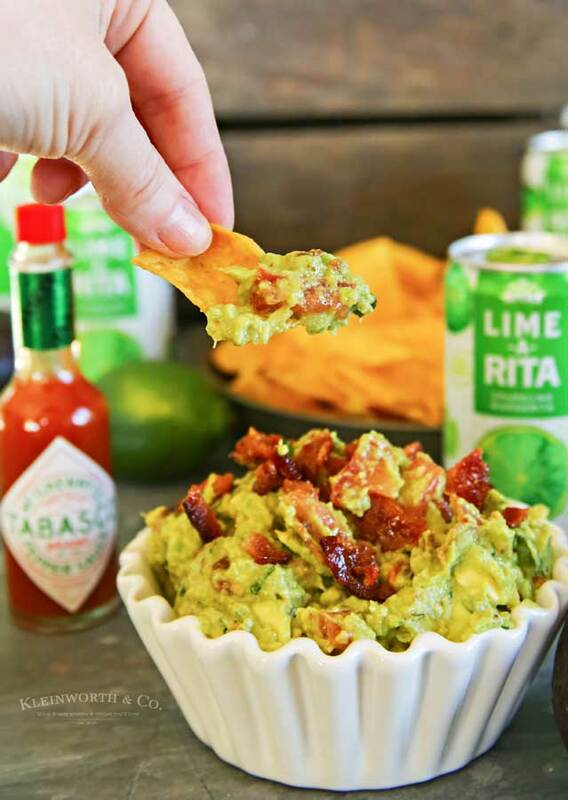 RITAS are fruity, fizzy & fun, which makes it perfect for game day and for pairing with snacks like this bacon guacamole. 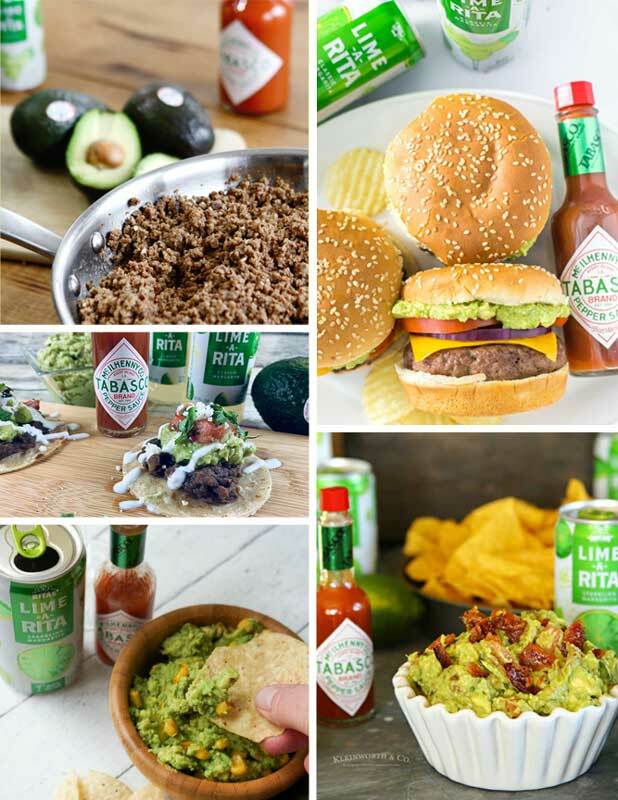 RITAS are a must for your game day parties. 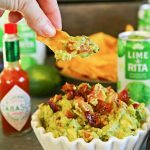 HOW DO YOU MAKE Easy Bacon Guacamole? In a large bowl, place the avocados. Add lime juice & mash avocados and mix with a fork. Once the mixture is creamy, add the onion, tomatoes & cilantro. 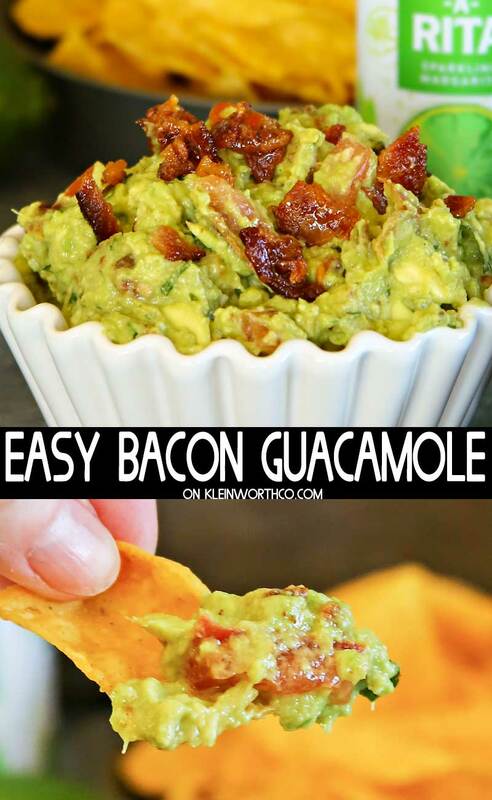 Add bacon pieces & TABASCO to the guacamole and mix well. Add granulated garlic, salt & pepper to taste. Mix well again and served with tortilla chips and Lime-a-Rita. Bottom line, this is just too easy & too good. 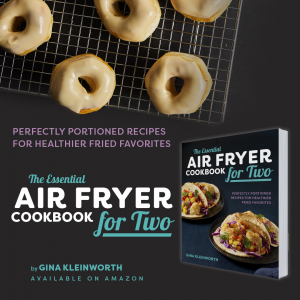 You must make it for your Big Game party and savor winning flavors! 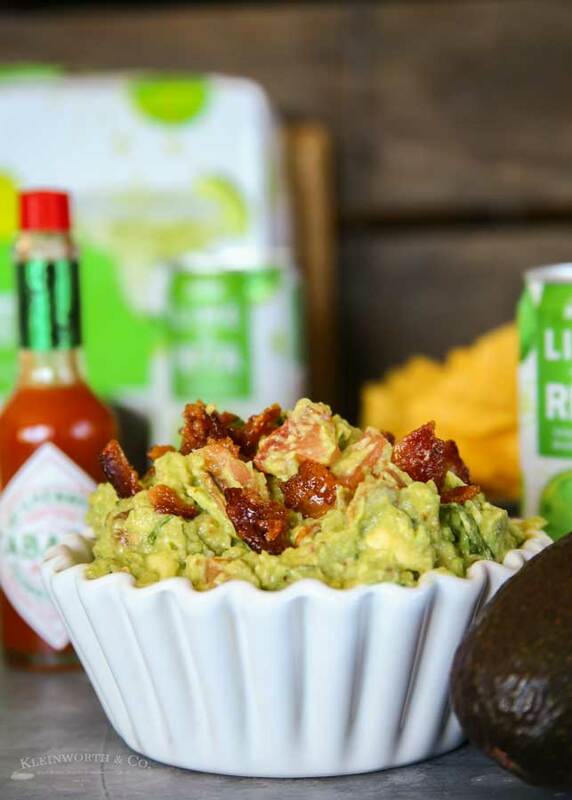 Easy Bacon Guacamole is the perfect snack to serve at all your big game day events. 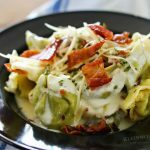 It's loaded with crispy, salty bacon & takes a few minutes to make. 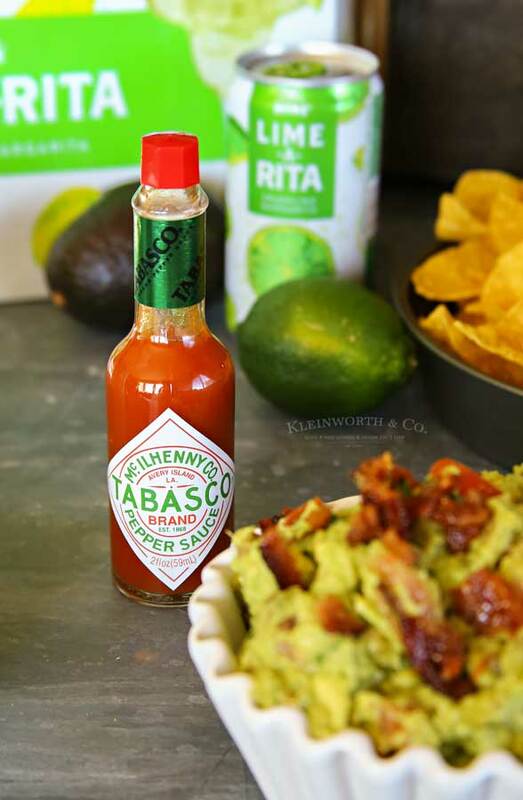 Add bacon pieces & TABASCO® Sauce to the guacamole and mix well. Don’t miss these great ideas from these bloggers that we will make ….